More than 130 languages are spoken daily in commerce in Utah, according to the University of Utah, and that’s one reason it sometimes tops the Forbes list of best states to do business. The state is a center for trade and for global companies. American universities should also be sending people abroad, but they are still quite insular. The number of Americans studying abroad has tripled over the last 20 years, but, still, fewer than 10 percent of college students study overseas during undergraduate years. Three times as many foreigners study in America as the other way around. It’s also more effective. I have a one-question language test that people who have lived abroad do better on than those who studied in a classroom. Try my test yourself: In a foreign language you’ve studied, how do you say “doorknob”? As you’re looking blank and thinking of those four wasted years studying French (poignée de porte) or Spanish (pomo), consider this joke: If someone who speaks three languages is trilingual, and a person who speaks four languages is quadrilingual, what is a person called who speaks no foreign language at all? One of the aims of higher education is to broaden perspectives, and what better way than by a home stay in a really different country, like Bangladesh or Senegal? Time abroad also leaves one more aware of the complex prism of suspicion through which the United States is often viewed. If more Americans had overseas experience, our foreign policy might be wiser. That’s partly why I started my win-a-trip contest. I wanted to encourage American students to engage more with the world and with the issue of global poverty. So I’m pleased to announce that my win-a-trip winner, from the University of Notre Dame, is … But wait! First, a personal aside. I took a gap year myself after high school and worked on a farm near Lyon, France. I stayed with the Vallet family, picked and packed fruit, and discovered that red wine can be a breakfast drink. That led to further travel as a university student. I slept on the floor of Indian temples and rode on the tops of Sudanese trains, and the experiences changed me by opening my eyes to human needs and to human universals. 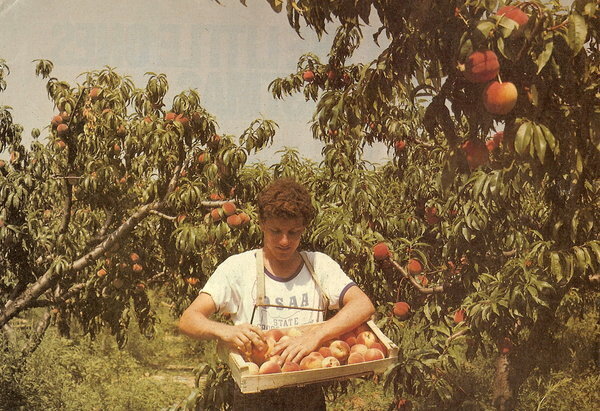 Nicholas Kristof working on a farm near Lyon, France during a gap year in 1978. Gap years are becoming a bit more common in the United States and are promoted by organizations like Global Citizen Year. Colleges tend to love it when students defer admission to take a gap year because those students arrive with more maturity and less propensity to spend freshman year in an alcoholic haze. Here’s a suggestion: How about if colleges gave students a semester credit for a gap year spent in a non-English-speaking country? There’s a misconception that gap years or study-abroad opportunities are feasible only for the affluent. There are lots of free options (and some paid ones) at idealist.org, which lists volunteering opportunities all over the world. It’s also often possible to make money teaching English on the side. So go west, young men and women! And go east! Y al norte y al sur! Back to my win-a-trip contest: I’m delighted to announce that my winner is Nicole Sganga, a 20-year-old from Long Island and the University of Notre Dame. Nicole is a junior majoring in political science and film and has already worked for CBS News in Washington and London. I’m not sure yet where we’ll travel for our reporting together on neglected issues. Perhaps Congo. Maybe Myanmar. 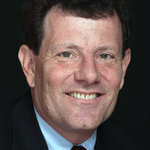 I welcome your suggestions on my blog, nytimes.com/ontheground, for places to go and themes to cover. Thanks to the Center for Global Development for helping screen applications, and to all the students who applied. If you didn’t win, I hope you’ll go out and win your own trip!